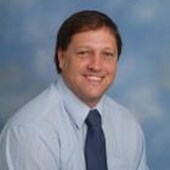 It gives me great pleasure to welcome you to Portfield School and our website, where you will find a great deal of information about our school, our work, our pupils and our approach to education. We are committed to ensuring the safety and protection of all children and take action to safeguard their well-being, making sure our pupils are as safe as possible at all time. For more information about Portfield School’s policies regarding this, please click here. We are very proud of our school, its young people and their achievements. What you will not be able to experience today on your computer is the very calm and positive atmosphere that all visitors comment on! Our highly skilled and dedicated staff provide a personalised approach to each individual pupil’s needs encouraging them to become lifelong learners and valued members of their communities. 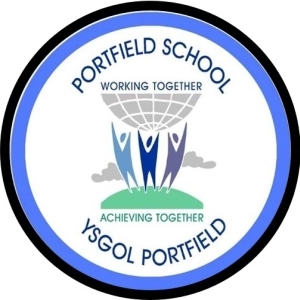 Portfield School is an all-age (3 to 19) local authority maintained Special School serving the needs of over 150 pupils presenting with a wide range of learning needs. These encompass, severe learning difficulties, profound and multiple learning needs along with complex needs including autistic spectrum condition (ASC), associated behavioural issues, sensory impairment and speech and language disorders. A new upper school building was opened in September 2009, with a Welsh medium satellite centre ‘Y Porth’ opening in October 2010 in Ysgol Preseli and a further satellite opening in 2012 in Tasker Milward Comprehensive School. In September 2014, a second classroom was opened in Tasker Milward. School staff and pupils benefit from close links with a range of primary and secondary schools including Tasker Milward Secondary School, Ysgol Preseli and Fenton Primary School. Close links have been established between Portfield School, our pupils and their families who can access support within the school from our Home School Link Worker, alongside input from a number of other agencies including health, social services and the specialist support services if necessary. This year the school has further expanded its accreditation offer to give greater opportunities to all students. Accreditations include credited units from Agored Cymru including Communication, Numeracy, ICT and Independent Living Skills and ASDAN Personal Progress modules. Portfield pupils have the opportunity to participate in Forest Schools, John Muir Award as well as Duke of Edinburgh Bronze and Silver Awards. The Enterprise activities flourish across the school throughout the year eg. older students run a daily Portfield Fairtrade Tuck Shop and all classes participate in a Summer Enterprise Market in Haverfordwest. If you would like to know more, please contact us to arrange a visit. We look forward to welcoming you to our school community. Portfield School aims to foster the development of young people by meeting their needs and giving them the confidence and competence to lead independent, purposeful and enjoyable lives as possible. * Create a happy, safe, supportive and stimulating learning environment. * Develop everyone’s personal, social, emotional health and wellbeing. * Promote relevant academic and vocational skills. * Meet individual needs through an imaginative and flexible approach . * Enable all learners to achieve their full potential. To encourage and enable pupils to make exceptional progress in their learning. To develop a community where pupils, staff and parents/carers learn and work together. To encourage young people to recognise that we are all unique and need to accept each other for whom we are. To encourage co-operation with each other and to be sensitive to each other. To provide a curriculum that is broad and balanced and fulfils the National Curriculum requirements whilst taking account of the specific needs of pupils and students. To create a happy, organised and stimulating working environment where we show respect for each other. That all staff and governors work together as a team providing good examples to the school community. To encourage all parents/carers to take an active part in their children’s education and development. 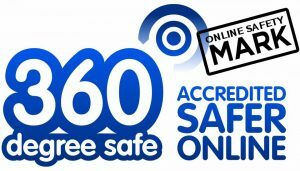 We are pleased to announce that we have been awarded the 360° Online Safety Mark. The award is for schools that show good practice in their Online Safety policy and procedures! Pupils arrive at school from 8.45am and are taken to their class where members of the class team are ready to receive them for a 9am start. to receive them for an 8.50am start.